Kress "EP" Series elevating pallet carriers are custom-designed high capacity transport vehicles capable of handling any material that can be palletized. 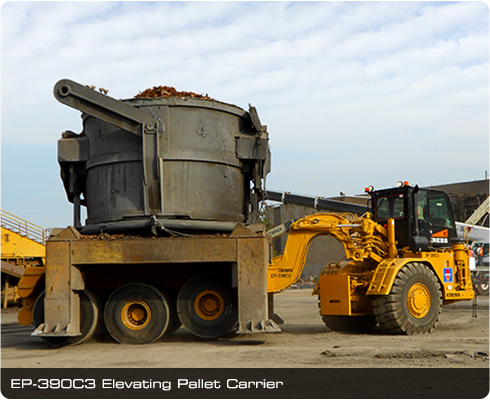 "EP" Series pallet carriers can transport a variety of materials such as ingots, slabs, blooms, billets, structural shapes, scrap buckets, ladles, and slag pots. Optional full length covers provide weather protection for sensitive products such as steel coils. Articulating steering and narrow overall width allow exceptional maneuverability for access into confined areas. The vehicle wheel base and overall width can be tailored to meet the customer's specific requirements. 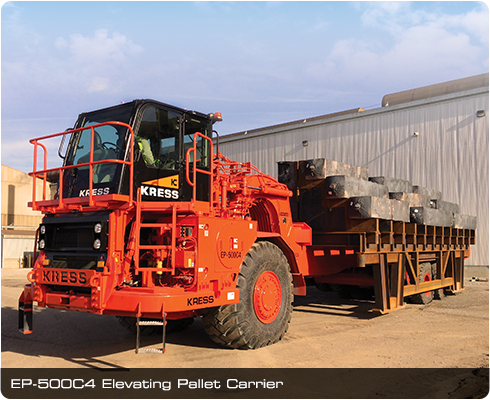 Kress pallet carriers utilize Caterpillar prime movers matched with simple, rugged carrier components and earthmover rear tires for reliability and long life. Each Kress carrier is designed for continuous operation in a harsh steel mill environment, and uses standard Kress and vendor components located to provide easy access for service. In addition to the transport capabilities of a normal pallet carrier, the Kress “EPD” Series carrier offers the added versatility of a rear dump unit. 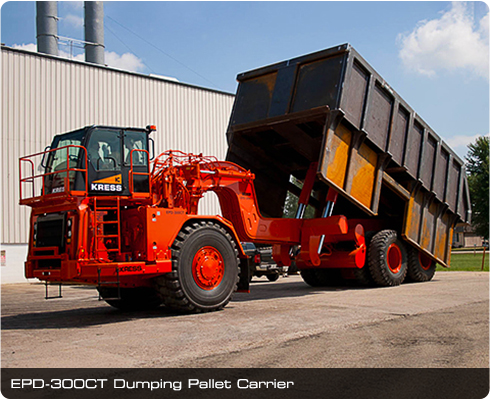 With specially designed rear dump bodies, “EPD” Series pallet carriers are able to handle scrap and other materials. The dump body is essentially a free-standing rear dump truck body with legs. The Kress pallet carrier can transport the body and tip it to a 45 degree dump angle using a hydraulic cylinder. 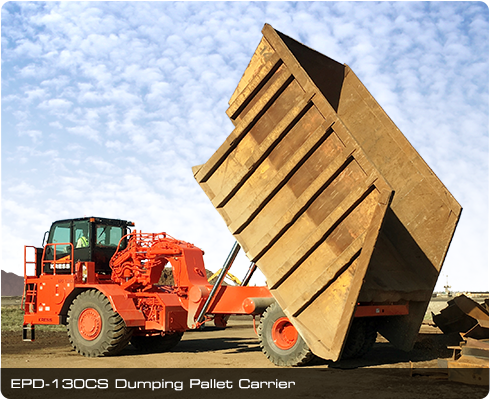 No manual connections are required between the carrier and dump body. By using a variety of body designs, one pallet carrier can handle several different material transport jobs.